Golden Ravioli’s achievements over the years include a gong from the Italian Chamber of Commerce in Lucca, in recognition of those promoting Italian culture outside Italy. 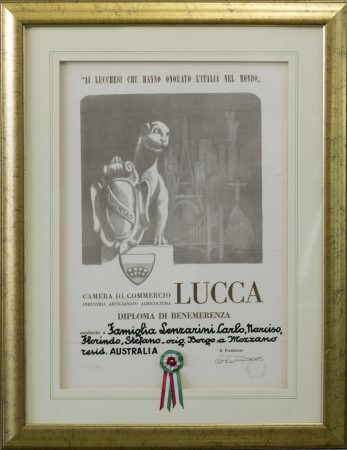 The award – which showcases the Lenzarini family coat of arms and is displayed in the Fitzgerald Street store – not only recognises the contributions made by Italians living abroad, but specifically Lucchesi nel mondo; people from Lucca around the world who are connected with the Luchese and Tuscan culture and who help spread the traditions of the city and surrounding areas. Narciso and his wife Floria have previously been acknowledged by the City of Vincent for their pristine garden. 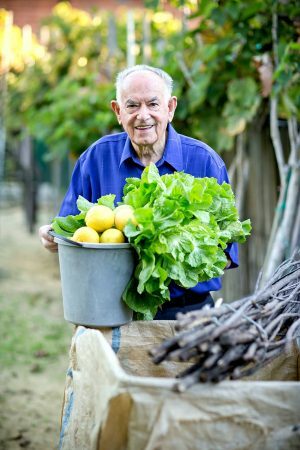 Although the couple have a most enviable vegetable or “food garden”, this highly coveted and competitive award was bestowed on Floria for her garden at the front of the house – in particular her stunning magnolias of various varieties. Always full of colour, the garden is still both beautiful and mysterious; alluring not only to passersby but to all beetles, bugs and butterflies.